Patricia Gallagher is best known for her parenting books and creating the Send a Team of Angels project. Her books landed her two appearances on Oprah, as well as other major TV shows. But it is her new Christmas holiday book, Christmas on Lindbergh Mountain, that people are calling the next Polar Express. The tale itself is magical, but it is the story behind the book that will have you laughing with delight. When Patricia’s daughter needed her dad’s help with her chemistry homework, Mom and her three younger kids had to “get lost” for a couple of hours. And get lost they did, with the family eventually writing Christmas on Lindbergh Mountain – The Untold Story of Santa on Christmas Eve. And in the week before Christmas of 1996, trying to bring their 137 homemade storybooks to children in hospitals and to prisoners for their young visitors – even a CNN producer called and wanted to follow the family on their visits. The listening experience will delight adults, teens and children – anyone who relishes the important things in life – love of family and helping others. Nothing says “Merry Christmas” better than getting into the spirit – by listening to the story below – with a frothy mug of hot chocolate and your own favorite little elves gathered around you! This website includes lots of sure-fire ways to have fun: party ideas, recipes, fun things to do, downloads of photos like Santa feeding his reindeer, a map from the North Pole… Christmas Eve will never be the same! Your family can enjoy listening to a FREE READING of an exciting holiday storybook and start new Christmas traditions. 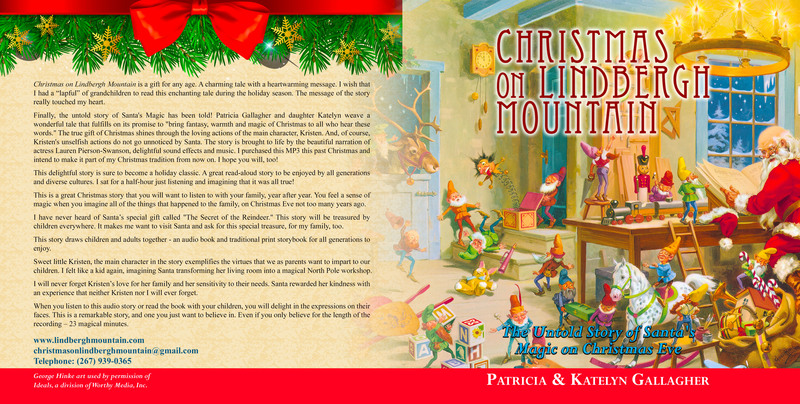 Christmas on Lindbergh Mountain was written by Patricia Gallagher, read on audio storybook by renowned actress Lauren-Pierson Swanson, and the magical effects were created by sound engineer Steve Saunders. Not only is the story delightful to listen to but it also reinforces wholesome values such as love of family and kindness. For the Christmas Season, “Christmas on Lindbergh Mountain – The Untold Story of Santa’s Magic on Christmas Eve” is available for FREE streaming so you can watch the video and listen to the magic of Christmas on Lindbergh Mountain. Website photo credits: Pixabay, Ellen Clapsaddle and George Hinke art used by permission of Ideals, a division of Worthy Media, Inc.
Once upon a time, in a small town in Bucks County, Pennsylvania. Here is a “last minute” Christmas Feature for Kids of All Ages! What is the Christmas on Lindbergh Mountain storybook about? Christmas is coming! It is the season to be jolly! Yes, Yes, Yes! Ho, Ho, Ho! What will Christmas be like if Santa Claus can’t make it to Lindbergh Mountain? 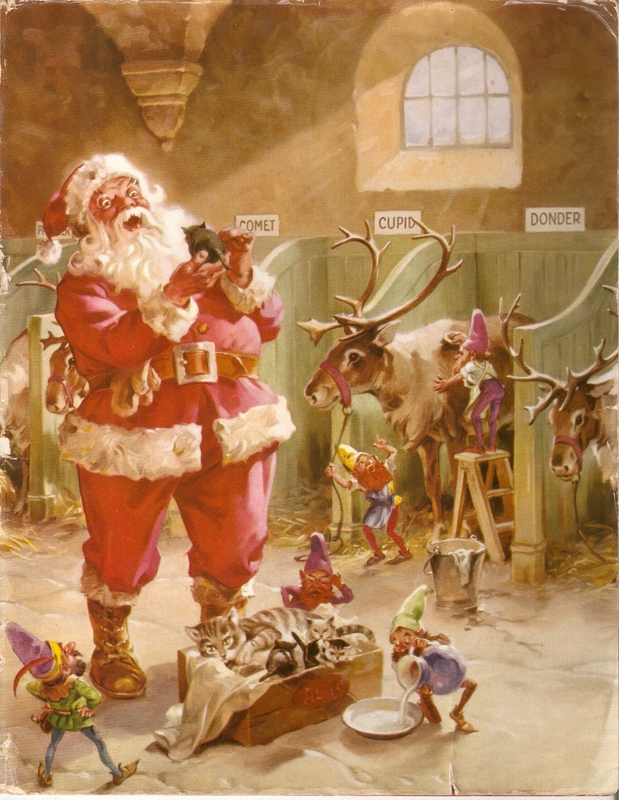 When the kids were little, we made 137 Christmas story books to take to prisoners…..but they would not let us in! How Santa Says “Merry Christmas” in Other Languages! Fun and Free Things to Do with the Kids Before Christmas! Ho, Ho, Ho! 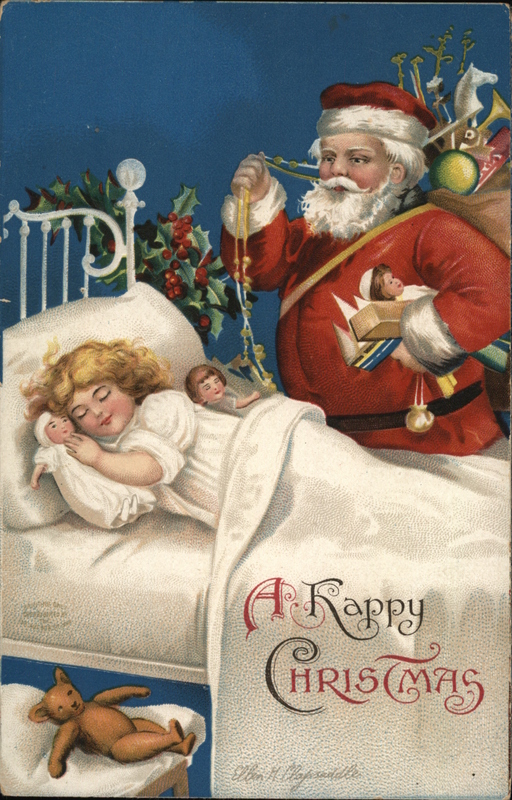 What will Christmas be like if Santa Claus can’t make it to Lindbergh Mountain? Patricia Gallagher's Website The official website of Patricia Gallagher, author, speaker and creator of fun activities for families. Team of Angels The official website for the Team of Angels, my angel pins and bookmark poems project.